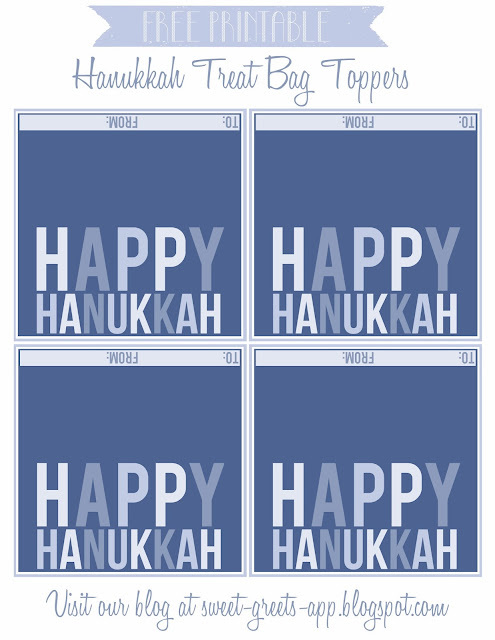 If you plan on making some treat bags for Hanukkah, I've got some toppers for you! Use these for classroom parties or for gifting friends and family with special Hanukkah treats. One thing you can do is fill some 4 inch treat bags with a little dreidel, some chocolate gelt and printed instructions for playing the dreidel game - a great little Hanukkah gift for kids. Just click the image above to download. Happy Hanukkah! For more Hanukkah freebies - including printable lunch notes, digital papers and more - just follow this link.